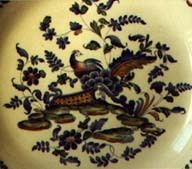 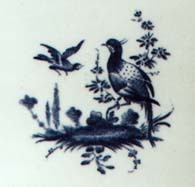 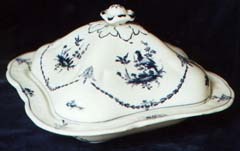 There are several Booths patterns that incorporate the name PHEASANT. 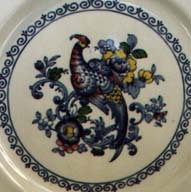 If you have anything that matches this pattern, we'd like to hear from you! 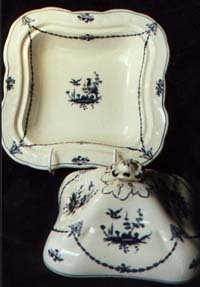 Some spots of discolouration on rim and near handle - otherwise perfect. 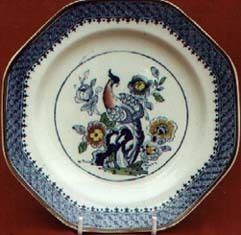 This is a hand-coloured pattern quite different from any of the above, with the Reg No 674317 dating it to 1921. 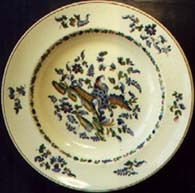 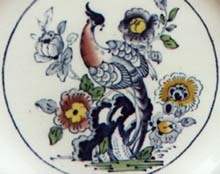 A similar pattern with the same name was registered in 1913 by the firm S HANCOCK & SONS, and this was claimed to be a reproduction of YUNG-CHENG porcelain from the period 1723-35. 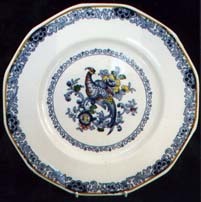 Some small restored chips under rim.